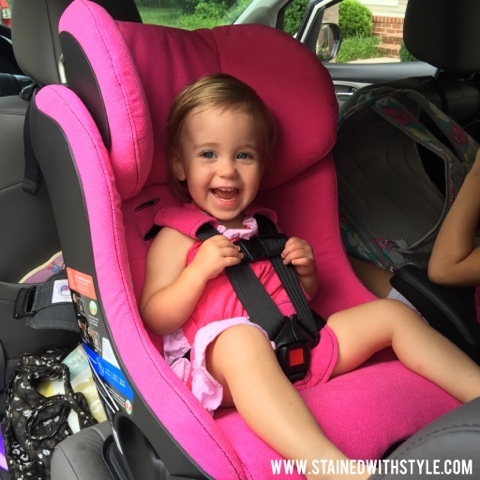 A New Carseat for Belle...Why We Chose Clek! It was a tough choice. There are so many great seats out there and if you know me, you know I lurve me some baby gear. I really like Britax. I even purchased a five point booster, the Frontier, for the Honeybadger. It is so easy to install!! We took it with us to California and WOW! It worked well on the plane for R3, and made installing the carseats go much quicker than normal. I usually wait for 30+ minutes for the hubs to get everything installed properly in the rental car. Seriously, it takes forever. But, it took him probably half that time. Wow! Why didn't I choose a Britax for Belle? Well, there have been some questions of late from lots of people about the convertible seats needing some tweaking, especially after the recall from Britax. That and I really wanted to avoid buying another seat in a couple of years. R3 has a Clek Foonf and I really like it. It is really easy to install and for a bigger kid, it will last for a long time. I'm hoping to avoid even buying a booster. 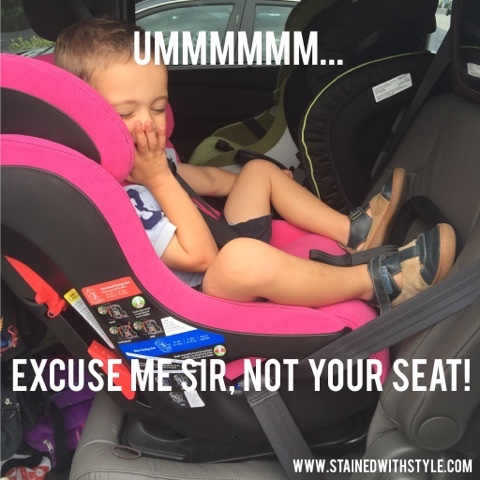 It may happen, because that seat has a very high forward facing weight limit (65 pounds) and that should last him until he needs a big boy booster. The major Foonf downfall for me is the size. It's a beast and with the travel that we do, I don't want to lug it on the plane. (Though I hear it can be dragged down the aisles, it's that narrow!) That's why we decided on the Fllo! It is a great compromise. All of the features of the Foonf (like the weight and height limits), without the weight (almost ten pounds less). You can check them both out on Amazon via my handy, dandy links. I hope you need some car seat or stroller advice because this lady is pretty psyched to help! Next on my list of things to buy is probably this guy for bringing the Frontier on the plane, or maybe this guy because I can use it with the Fllo too. I haven't made up my mind yet!